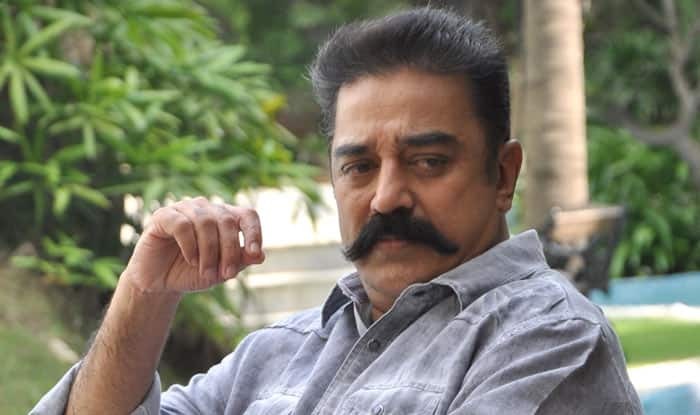 Top actor Kamal Haasan, who is set to embark on a political tour of Tamil Nadu next month, Thursday batted for unity among Southern states under the “Dravidian” tag to leverage ties with the Centre. “It is our identity, and it will give the southern states a leverage with the Centre,” the actor said. When the Dravidian identity is “celebrated,” across South India, it will lead to a united “chorus,” that will reach New Delhi, he said. “When this thought gains roots, it will add up to our strength,” Haasan said. The actor also said “Dravidam,” (a word meaning South India) was not Tamil Nadu specific but pan-India having facets of history, anthropology and archaeology. “I can show you a man in Bihar with your resemblance. The reason for that is, Dravidam is coming from there. There is no reason to destroy it due to it,” he said in the article. The actor, however, did not explain the whether he was referring to ‘Dravidian,’ in a racial, linguistic, geographical sense or as a political call for mobilisation. He also hit out at the Centre over what he claimed apportionment of tax revenue among states. The 63-year-old actor said it is the practice of an elder brother to distribute his earnings to his unemployed younger siblings which should not be faulted. “However, since the elder brother is giving, he should not be regarded as gullible and he must not be allowed to starve,” he said. The actor, however, did not clarify what kind of tax collection he was talking about, whether direct or indirect. He also did not say for which fiscal Tamil Nadu stood second in tax collection or which government/independent agency he was relying for his tax related and apportionment claims. He said he had a feel that of late, the “apportionment” (indicating tax revenue) was not happening properly. New pitch for Tamil nation? Sorry I meant Tamizh. Yeah, I agree. Dravid should be the coach of the Indian team. This northener Shastri has no clue, and that's why we keep losing. First of all what is a Dravidian? Second ,how is it coming from Bihar? He will blame anything and everything on Bihar? Because Dravidians are true indians.. north indians are Aryans. So easily British built this theory and since it was written in English.. our intellectual Tamizhs (unique and most intelligent creatures on this earth) took it to heart. BTW, according to one theory, gults are Aryans who migrated south. Tails might be long... but entirely based in facts and historic evaluation. They simply cannot be disproved. There are good actors who do a fantastic job in front of the camera lens, and it earns them fame and fortune. Then one fine day they go mad. There are many examples. Look at Sean Penn, a superb actor, bu then he got into politics and it was all way over his head. Same with Kamal Haasan. He should not think that he knows better. Anyway, its India - sub chalta hain! He was good till 80s. Hey Ram was also good though. Till he got obsessed with trying different get ups and overacting. To balance hey ram, he was in a ridiculous movie Anbe Sivan* where he plays himself, I.e. a Commie. His name itself is a peaceful name thanks to his abba Jan wanting to be secular. I think a better example of good actor gone crazy is Prakash Raj. * PS - avoid telling any Tamil that is a ridiculous movie. They will scorn you. What say Aashi ji. Avoid telling any Tamil pretty much anything.. nowadays they want you to spell Tamizh not Tamil. In my more than decade long stay in the US, I've seen plenty of LTTE supporters secretly hoping for a Tamizh country which includes Sri Lanka.